Karen Pita Loor comes to the Boston University School of Law Criminal Justice Clinic to continue the commitment she made as a young attorney to the zealous defense of individuals charged with crimes. Shortly after her graduation from law school, Professor Loor began her criminal defense career at the Public Defender Service for the District of Columbia. In that agency's trial division, she represented indigent juveniles and adults charged with offenses ranging from simple assault to murder and sexual assault. In the agency's appellate division, she drafted multiple briefs and argued successfully before the highest appellate court in the District of Columbia. As a result of being a native Spanish-speaker, Professor Loor has represented several immigrant clients, and she is thus particularly familiar and concerned with the challenges this vulnerable population faces in the criminal justice system. 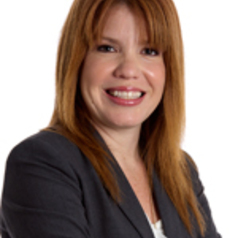 Before joining the Boston University clinical faculty, Professor Loor taught and supervised the Immigrant Children's Justice Clinic at Florida International University School of Law. Under her supervision, students represented unaccompanied immigrant children in state and federal proceedings. Most recently, Professor Loor led her students as they successfully vacated three criminal convictions which subjected that client to certain deportation. The client is now a legal permanent resident who is able to attend school and obtain the mental health treatment he has long needed. Being able to assist this client is his dependency, immigration and criminal proceedings was quite a rewarding experience for Professor Loor, and it exemplified the ideals of holistic representation she strongly espouses. Professor Loor is excited to now work with Boston University law students to marry their newly-attained substantive knowledge of the law with real-life experiences and thus provide exceptional representation to people charged with crimes.